Download ASUS Zenfone 5 Template - Today I want to share a ASUS Zenfone 5 mockup designed by me using Inkscape on Ubuntu. You can download and modify yourself for get better view. Almost of we know, mockup is a things can improve the design. Hope like and enjoyed the design! 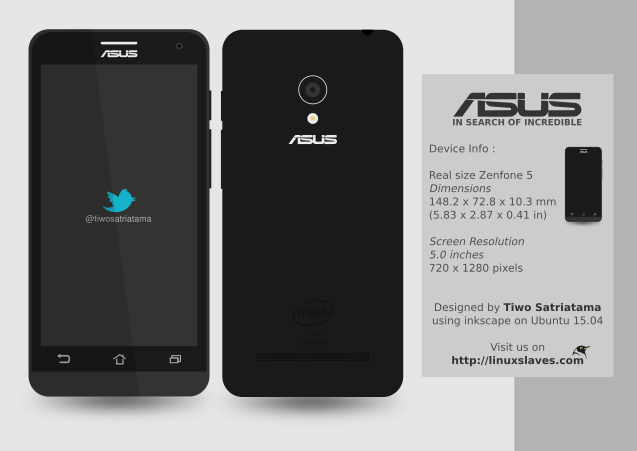 And I was made other mockup, it's "Google Nexus 5 Mockup". 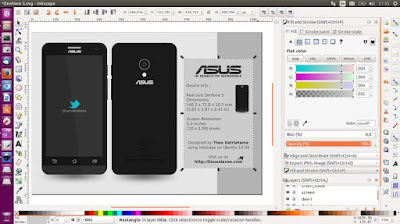 You can download it at our previous post Free Download Nexus 5 Mockup SVG.